Flag stamp set. These covers were placed in the bomb-aimers blister and flown over the last few flights. Will be supplied with a cancelling special date-stamp appropriate to their official release. 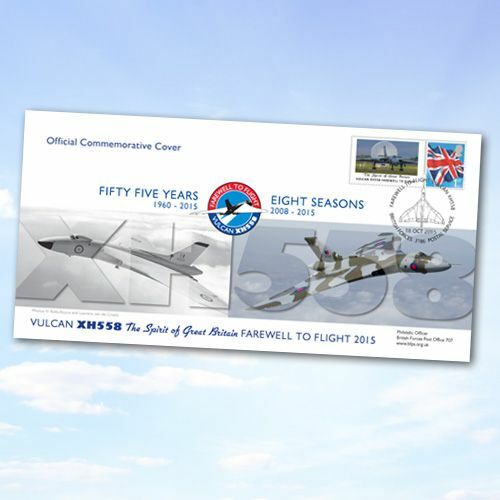 Complete with an insert art card showing a collection of XH558 images.